Over the past few weeks we have been using a website called Twinkl, the website is mainly aimed at teachers and teaching assistants. However on the site there is a section for parents and childminders. Twinkl offers resources for your childs learning, my boyfriends mum is a teaching assistant and she uses this website for the activities for her children in the school. There is also a section that shows you what the curriculum is and relevant work and activities that would help your child. 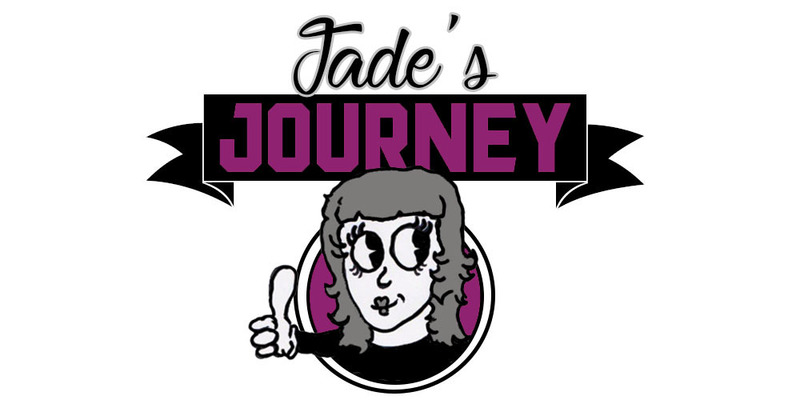 Although there is alot on the site for teachers and that is related to school work I found it really good to help my son out. I spent a few hours looking around and seeing which activities would be both fun and helpful for Jared. Jared is two and is not yet at nursery but he is very cleaver (he does not get this from me) he can count to twenty and he knows his alphabet and can point out the correct letters, he has also just learned his left and right. This site has helped us keep up with things like his alphabet and numbers one of the items we have printed off is a picture dictionary, each dictionary page has squares for you to stick in pictures of objects that begins with the same letter. I'm currently collecting pictures of objects so we can work on this. One of the activities we have been doing is some emotion flash cards. I got all the flash cards and placed them down then I asked him to point to the picture where someone looks sad or happy etc. 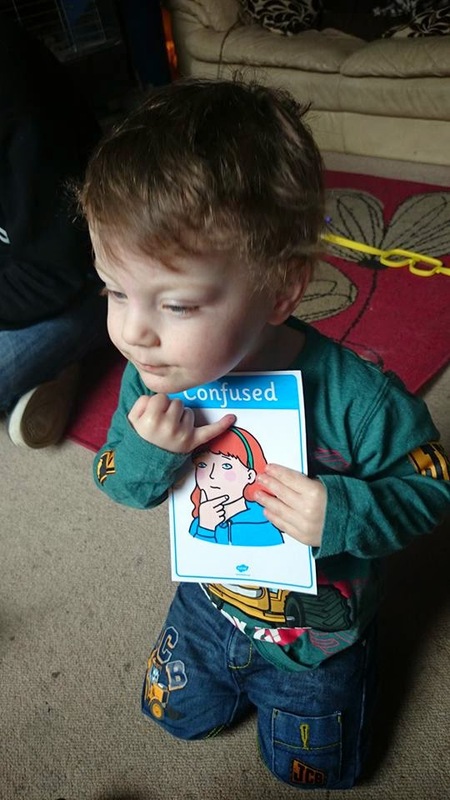 The more tricky words like confused and astonished he didn't really know and rather then pointing at one he just said "where it is mummy"
On the website there is a section which will show you all the crafts that they have. This could be a print out sheet with just instructions to a print out of folding and colouring. 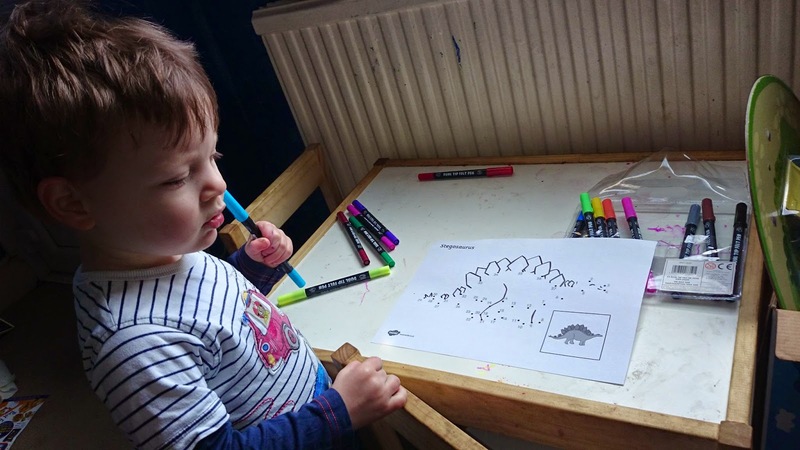 We love crafts in this house so as you can imagine we have printed a few Easter crafts out ready to make in a week or two. We did do a few little crafts for mothers day and we gave them to Nanny and Nanna. One of Jareds favourites so far has been the dot-to-dots I have found this helps with number sequence at first he just wanted to colour in but once I explained that you have to join the dots by following the numbers he kind of got the hang off it, I joined the dots and he pointed to the number that came next. In time I'm sure his pen control with improve and I believe these dot-to-dots will help him with this. 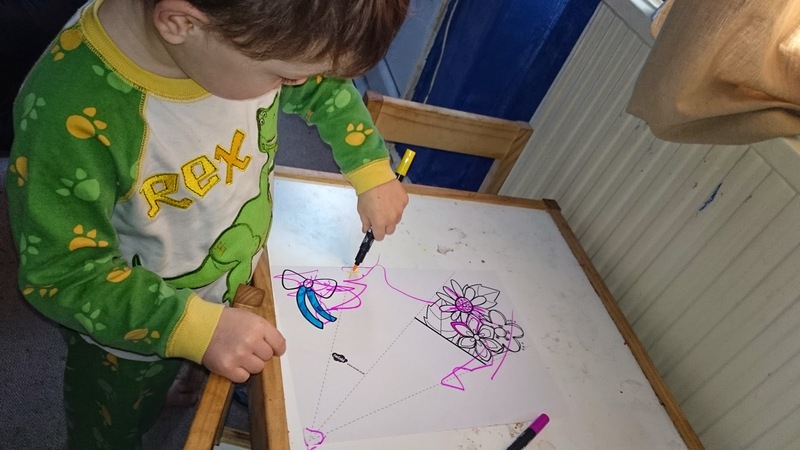 This is Jared colouring in a lovely Mothers Day bouquet. I could resist joining in I guess I'm just a big kid as I love colouring. This is just one of the dot-to-dots it was of a dinosaur. Which Jared loves. We have so many dot-to-dots to do now. 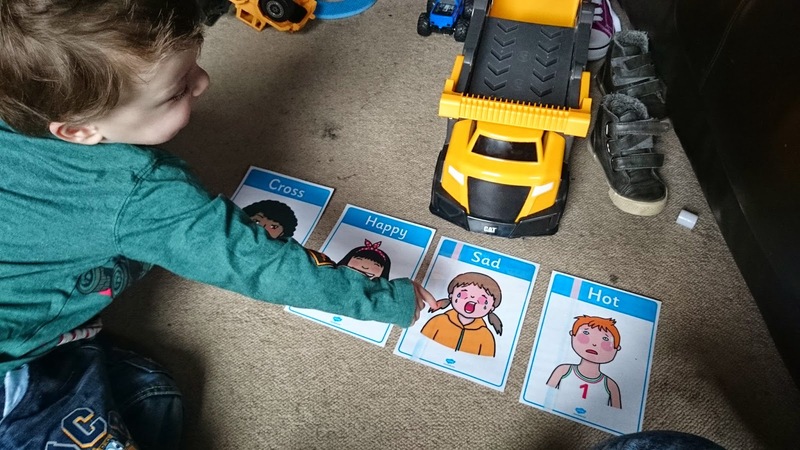 Another great thing they have is reward charts, this is perfect as we are teaching Jared to use the potty and rather then just a cheer and a well done from us he now has his own chart that we can fill in when he uses the potty. You can sign up to twinkl for free or you can choose the Gold membership which is £29.95 for 12 months and Platinum which is £44.95 for 12 months. I almost forgot to mention Twinkl also has a blog and a forum, you can also leave comments on the content that you have usesd. I'm looking forward to the rest of our Twinkl year and developing my son's skills further along with my two sisters who have had a look and found tonnes they want to download and do. * I was given a years free platinum subscription for writing this review. However this did in no way affect my views of the website and the resources it offers. All pictures are my own I do not give permission for my pictures to be use by any other person(s) unless consent is asked and given.